Comments: New culms emerge green every spring and through a progression of color change, they turn black in 3 years. 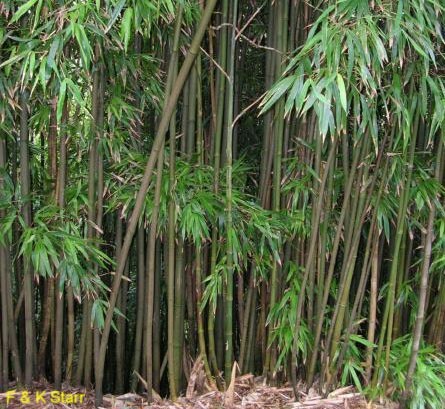 It is one of the most sought after bamboos because of its polished, ebony-black mature canes and dark green. It can grow to heightof 40 feet, but a height of 20-25 feet is more common.